Place of work: MoC - Ministry of communications (MoC) Jerusalem, Israel. The Twinning Project IL 16 ENI TE 01 16 (IL13) "Strengthening the regulating capacity of Israel in the field of telecommunications, with a focus on service provision over networks owned and operated by others" is financed by the European Union in the framework of the European Neighbourhood Instrument (ENI) and will be implemented by a consortium formed by the Italian Communication Regulatory Authority (AGCOM), the German Federal Ministry for Economic affairs and Energy (BMWi) and the German Federal Network agency for Electricity, Gas, Telecommunications, Postal Markets and Railway (BNetzA), and the Latvian Public Utilities Commission (SPRK). The Project team will work closely with the Israeli partners at the Ministry of Communication MoC (the beneficiary) to implement the 21 months duration project. The overall objective of the Twinning Project is to contribute to improve procedures for regulating service provision over networks owned and operated by others, to develop a broad market surveillance system in order to frequently and regularly check the implementation of the licensing conditions covering all components of the electronic communications market and to review and improve the legislative framework and regulatory capacity in accordance with EU MS best practices and with the review of the EU framework in the telecom and audiovisual sectors. The staff from MoC administrations, other Ministries and official authorities as well as Israeli stakeholders will work in close partnership with the project consortium partners to reach the goals foreseen in the project. The project team consists of the project leader from AGCOM, two Deputy project leaders (one from BNetzA and the other from SPRK) and a number of experts undertaking short term missions to Israel, as well as the Resident Twinning Advisor (RTA) who will stay during the projects course in Israel to coordinate the project and give expert input. • One Resident Twinning Adviser’s Assistant (RTAA) (full time) (40 working hours/week). The Assistants will cooperate with the RTA and the team of Israeli and European experts, supporting them in completion of their tasks and duties. 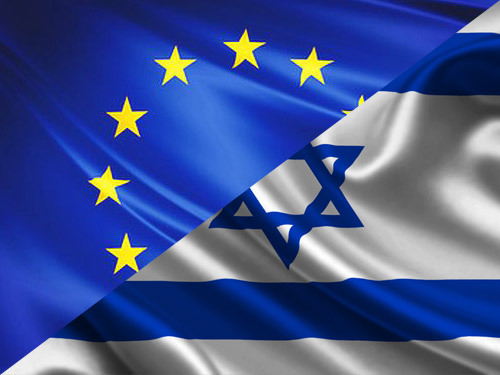 An equipped office space, with a duty station per person, will be organised at the premises of the MoC in Jerusalem and can be asked to follow the RTA and the STE in implementing other Twinning Project’s activities at local level in Israel and in case accompany the Israeli delegation during the Study Visits in Italy EU.